This was a neat idea. 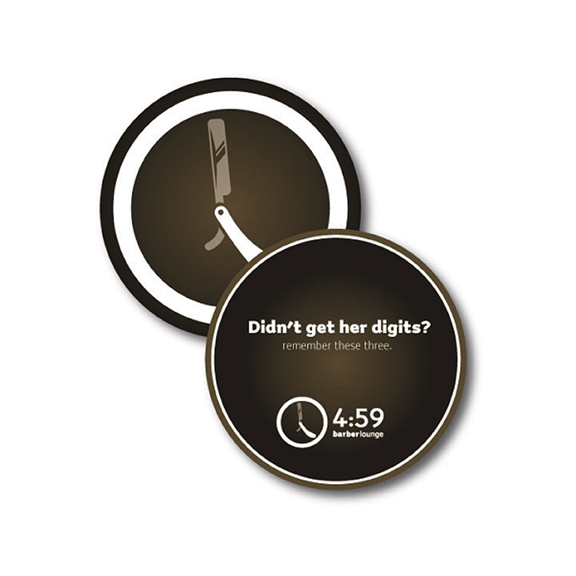 Bar coasters with clever copy that could be distributed to bars and restaurants free of charge. Highly interactive and right in the demographic wheelhouse for 4:59. Concept and copy by Bernie Combs. Art direction by BaM.